Le Carré: “An Eye Already Charged by Peril” Le Carré, John. The clandestine muse. Newark, VT: Pr. at the Janus Press for Charles Seluzicki Fine Books, © 1986. 8vo (22.9 cm, 9"). pp.  The G. Harry Pouder Memorial Lecture delivered at Johns Hopkins University on 20 May 1986: Le Carré talks about spy novels and George Smiley, and how they interacted with his own life. One of 260 copies (including 10 hors commerce copies) printed by Claire Van Vliet at the Janus Press, this is signed at the colophon by Le Carré. The work was set in Times New Roman, printed on Arches Text paper, and bound by Linda Kohl in paper marbled by Pam Smith. False Imprint — Radical Theology Leclerc, Jean. Liberii de Sancto Amore Epistolae theologicae,in quibus varii scholasticorum errores castigantur. Irenopoli [i.e., really, Saumur]: typis Philalethianis, 1679. 12mo (16 cm; 6.375"). f.,, 320 p.
 “Liberius de Sancto Amore” was the pseudonym of Jean Leclerc (1657–1736; a.k.a. Johannes Clericus), a radical Swiss theologian who broke with Calvinism. He is famous for his promotion of exegesis. The present work, published with a false imprint while he lived in Saumur, was an unorthodox study of the doctrine of the Trinity, the Hypostatic union of the two natures in Christ, original sin, and other matters. It was decidedly unconventional for its era. The woodcut “printer's device” on the title-page is telling: “Ex trunco veteri novus ramus,” which pretty much epitomizes Leclerc's writings. Uncommon. We locate fewer than 10 copies in the U.S.
For more FALSE IMPRINTS, click here. “Voici Franchement ce que J'en Pense” Le Coz, Claude. [drop-title] Observations sur la pétition de quelques membres du département de Paris, concernant le décret de l'Assemblée Nationale, sur les troubles religieux. Paris: De l'Imprimerie nationale, 1791. 8vo (19.2 cm, 7.5"). 16 pp.  Sole edition of this rebuttal of a petition addressed to the king “sur les troubles religieux.” Le Coz served as principal of the Collège de Quimper before becoming Constitutional Bishop of the Department of Île-et-Vilaine and later Archbishop of Besançon. Highly Significant American Judaicum Leeser, Isaac, ed. & tr. [title in Hebrew, transliterated as] Sidure divre tsadikim kolel seder ha-tefilot mi-kol ha-shanah ke-minhag ... Ashkenaz u-Polin.... [from the added title-page in English: Philadelphia: Printed by G. Sherman, for the editor, 1848]. 8vo. viii, 242, 2–243,  pp.  This Siddur in Hebrew and English was the first Ashkenazic prayer book edited and printed in America. Its editor, Isaac Leeser (1806–68), was a towering figure in American Jewry in the 19th century: writer, educator, and hazan of the Mikveh Israel congregation in Philadelphia. The English-language title-page reads, “The book of daily prayers for every day in the year. According to the custom of the German and Polish Jews.” The text is presented with the original Hebrew and English translation on opposite pages. For general RELIGION, click here. Le Hon, Henri Sébastien. L’homme fossile en Europe son industrie, ses moeurs, ses oeuvres d’art ... cinquième édition avec une notice biographique .... Paris: J. Baudry, 1878. 8vo (22.5 cm, 8.9"). Frontis., viii, 487,  pp. ; 3 plts. Plenty of Provenance & a Typographic Eyeful Leigh, Edward. A treatise of the divine promises; in five books. London: pr. by A. Miller for Thomas Underhill, 1650. 12mo (14.3 cm; 5.625"). , 409,  pp., 1 fold-out diagram. This third edition is typographically complex in ye good 17th-century style, with a title-page printed in red and black and liberal variation of type-ornament borders, multiple fonts, and decorative initials; the pages are ruled into multiple divisions for presentation of text and various sorts/levels of notes, with the printer occasionally breaking “form” to enhance compactness or clarity. Braces and brackets appear generously, with these tricky-to-set devices being most strikingly deployed in full-page diagrammatic “Tables” of contents, one at the start of each of the five books and the one of the third being actually a large fold-out. The first edition appeared in 1633 with two more in 1641. Those three and this 1650 are uncommon in commerce with only three of this apparently held in U.S. libraries (Boston Athenaeum, University of Illinois, and Princeton Theological). Leigh (1602–71), a decided puritan, was described by one contemporary as “a man of fiery disposition” and by another as “a cunning man”; in addition to his religious duties he found time and inclination for politics and was elected to Parliament. Provenance: Tim Hide(? 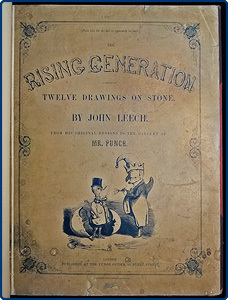 ), 18th century, has signed the top margin of the title-page; George B. Engle Junior notes on a fly leaf that he bought the book in Boston, MA, March 1881. Later at the Pacific School of Religion (properly released). Heath, Including MENTAL HEALTH, in the 16th & 17th Centuries — Woman Printer Lemnius, Levinus. The touchstone of complexions: expedient and profitable for all such as bee desirous and carefull of their bodily health: containing most ready tokens, whereby every one may perfectly try, and thorowly know, as well the exact state, habit, disposition, and constitution of his body outwardly: as also the inclinations, affections, motions, and desires of his minde inwardly. London: Printed by E[lizabeth] A[llde] for Michael Sparke, 1633. 4to (18.5 cm, 7.5"). ff., 248 pp., [5 (of 6)] ff., without the final blank. This is the third English-language edition, following the first of 1576 and the second of 1581, and it was also the last until the work was reprinted in 1881. The translation into English is by Thomas Newton (1543?–1607), the rector of Little Ilford, Essex. Provenance: 17th- or early 18th-century signature of Simon Tar(r)ver on verso of title-page and again in lower margin of leaf opposite p 1. On blank recto of dedication page, four lines and a few letters and numbers in a large hand, overall not quite intelligible to us but with “An Bensen” and the date(?) 1764 among the elements certain. 19th-century signature of Joseph Gardner in lower area of the verso of the last printed leaf. A collector friend who is far more accomplished with English 17th-century hand than I (DMS), wrote me about Simon Tar(r)ver and his writing and jottings: “It is a fascinating example of someone who I would guess is barely able to write and almost certainly self-taught.” For example he uses “Rote” for “Wrote” in association with one of his signatures and penned “Ingold land is my nashion” next to his name in another. WorldCat and ESTC combine to locate 13 U.S. libraries reporting ownership; however, the copy reported at Claremont Colleges seems to be a microform and the Countway copy is incomplete (lacking leaves 65–88). It should be noted that several of the reported copies give the book as “printed by E[dward] A[llde] for Michael Sparke,” which is impossible as Edward died in 1628. Rather, “E.A.” is his widow Elizabeth Allde. Lenormant, François. Les premières civilisations études d’histoire et d’archéologie. Paris: Maisonneuve & Cie., 1874. 8vo (22.5 cm, 8.85"). 2 vols. I: viii, 401,  pp. II: , 437,  pp.  Sole edition: Collection of essays on prehistoric archeology, focusing in the first volume on Egypt and in the second on Chaldea, Assyria, and Phoenicia. The author was raised virtually from birth to follow in the footsteps of his archeologist father, Charles Lenormant; among his contributions to classical scholarship was his identification of the language now known as Akkadian. Or for EGYPT, click here. Arguing Baptism with the QUAKERS Leslie, Charles. A discourse; shewing, who they are that are now qualify'd to administer baptism and the Lord's-Supper. Wherein the cause of Episcopacy is briefly treated. London: C. Brome, W. Keblewhite, & H. Hindmarsh, 1698. 4to (22 cm, 8.7"). , 62, [2 (adv.)] pp.  First edition of this attempt to convince Quakers of the validity of the orthodox Church of England practice of baptism, written by the nonjuring Church of Ireland clergyman who also published A Discourse Proving the Divine Institution of Water-Baptism. Supporting texts in English, Greek, and Latin are included. “A Short & Easy Method with the Deists” Leslie, Charles. A short and easy method with the deists: wherein the certainty of the Christian religion is demonstrated, by infallible proof from four rules, which are incompatible to any imposture that ever yet has been, or that can possibly be. In a letter to a friend. Windsor, VT: Pr. by T.M. Pomroy, 1812. 12mo. 168 pp. Click the title page image for an enlargement.  The “friend” is Charles Leslie himself. This work also includes the author's Defense of Episcopacy, and parts of his trial in Boston, where he was found guilty of libel for his defense of episcopacy against presbyterianism and congregationalism. Provenance: Property, in 1836, of Henry G. Hubbard of Detroit. “Stark Naked, & Carrying a Fiddle” Leslie, Charles. The snake in the grass: or, Satan transform'd into an angel of light. Discovering the deep and unsuspected subtilty which is couched under the pretended simplicity of many of the principal leaders of those people call'd Quakers. London: printed for Charles Brome, 1696. 8vo (16.5 cm; 6.5"). , cccxlii [i.e. ccclii], 271,  pp.  First edition of the first of nine anti-Quaker books written by the author after living with a Quaker family while in hiding. Within this easily portable yet densely packed text, Leslie (1650–1722), a nonjuring Church of Ireland clergyman, claims “the Quakers are False Prophets and Conjurers,” “the Popish Emissaries first set up Quakerism in England,” and “No Quakers in the world do defend themselves with greater vehemence, and self-assurance than the Muggletonians do” — among other numerous, only occasionally factual criticisms. However harsh the allegations, the Quakers were not Leslie's sole target; he also wrote works against deism, Judaism, Catholicism, Socinianism, and more, not to mention his numerous writings against various political parties. The text here is in a rather striking mix of roman, italic, and large black letter. Provenance: The Howell Bible Collection, Pacific School of Religion (properly released), with bookplate tucked into front cover. Chicken Soup for the HUGUENOT Soul? L'Espine, Jean de. Excellens discours de I. de l'Espine angevin. Touchant le repos & contentement de l'esprit. La Rochelle: Hierosme Haultain, 1594. 12mo (13.7 cm, 5.38"). 758 pp., [5 (blank)] ff.  Early, uncommon edition of these seven essays on combating sin in order to bring peace and contentment to the soul, written by an Augustinian monk and correspondent of Calvin's, and edited and introduced by French humanist Simon Goulart. Here L'Espine (also known as Delespine, de Spina, and Spinaeus) expounds on avarice, ambition, anger, envy, lechery, curiosity, and fear. First published in 1587, this popular work found an audience among both Protestants and Catholics, and went through a number of editions in not only the original French, but also several other European languages as well as Latin. The present early French printing is handsomely accomplished, with nice head- and tailpieces and decorative capitals. WorldCat finds no U.S. institutional holdings of this edition. Binding: Later dark blue Jansenist-style morocco: spine with raised bands and gilt-stamped title and date, board edges with double gilt rules, and turn-ins with particularly elegant gilt dentelles. All edges gilt. Signed binding done by Hans Asper, with Asper's minute rubber-stamp on the front free endpaper. Provenance: Front pastedown with bookplate of Swiss theologian, historian, and professor Gaspard Ernest Stroehlin (1844–1907), a notable scholar of Protestantism. Most recently in the library of American collector Albert A. Howard, small booklabel (“AHA”) at rear. Select Dates BETWEEN 1791 & 1805 . . . POEMS by the Influential “Monk” of GOTHIC Literature Lewis, Matthew Gregory (“Monk Lewis”). Tales of wonder...the second edition. London: Pr. by W. Bulmer & Co. for J. Bell, 1801. 8vo (18 cm, 7.1"). , 251 (pp. 138–39 numbered 134–35), [1 (adv.)] pp.  Poems by the influential “Monk” of Gothic literature. Second edition of these poems of the fey and supernatural, some written by Lewis and some reworked by him (sources including Sir Walter Scott, George Colman, and John Leyden); most works are supplied with morals (“. . . vain are now her prayers and cries, / Who cared not for her father's tears, / Who felt not for her father's sighs!” [p. 8]). For OCCULT matters, click here. Historical Context of the New Testament Lightfoot, John. A commentary upon the Acts of the Apostles: Chronicall and criticall. The difficulties of the text explained, and the times of the story cast into annals. London: Pr. by R.C. for Andrew Crooke, 1645. 4to (18.2 cm, 7.2"). , 331,  pp. (pp. 145–48 bound out of sequence).  First edition of this important “Tripartite History” (as described by the dedication), a chronological arrangement of the events described in the New Testament along with accompanying historical happenings. The sections of “The Christian History, the Jewish and the Roman” for the years 34–44 each have separate title-pages. For a bit more JUDAICA / HEBRAICA, click here. LEC Memorabilia — An Evocative Small Archive Limited Editions Club. Ephemera, 29 items. New York: The Limited Editions Club, 1971–95. Various.  Interesting collection of uncommon ephemeral material from The Limited Editions Club, one of the 20th century's great “fine books for the middle classes” concerns. Some of the items here are from the Club's later livres d'artistes heyday; many describe the Club's mission and its processes; the Club's typical attention to typographic clarity and elegance is well displayed. & TYPOGRAPHY generally, click here. Learn to Do It “Neatly & Gracefully” Lincoln, Mrs. D.A. [Mary Johnson Bailey]. Carving and serving. Boston: Roberts Bros., 1887 (copyright 1886). 8vo (17.8 cm, 7"). iv, –52,  pp.  First edition, first printing: Carving instructions from one of the best-known names in cookery of the late 19th and early 20th centuries. This guide comes with a preliminary warning that carving cannot be taught in lectures, learned from printed diagrams, or mastered by watching someone else do it — only practice and an understanding of the internal anatomy of various pieces of meat, as well as “neatness and care,” will do the trick. Be Contrite Lindeborn, Johannes. In poenitentiae sacramentum notae catecheticae, quibus eruditur poenitens, quam oris confessionem, cordis contritionem, & operis satisfactionem sacerdotalis absolutio requirat. Coloniae: pro Arnoldo ab Eynden, 1677. 8vo (16 cm; 6.25"). ff., 221 pp.  First edition of six published between 1677 and 1679. Lindeborn (1630–96) wrote extensively, principally in Latin but with a few works appearing in Dutch, on the Holy Sacraments, topics central to the catechism, and the passion of Christ. The present work deals with the sacrament of penance and the need for the penitent to confess orally and from the heart, to be contrite, and to do penance in order to receive the necessary, priestly absolution. Provenance: In the 19th century in the library of the Seminarii Veteris Catholici Amisfurtensis (deaccessioned); from 2000 till 2016 in a private collection. Searches of NUC and WorldCat fail to locate any copies in U.S. libraries. Lippman, Walter. The scholar in a troubled world. An address delivered as the Phi Beta Kappa oration at the commencement exercises of Columbia University May 31, 1932. New York: Press of the Wooly Whale, 1932. 8vo. pp.  One of three hundred copies printed and privately distributed. Letters to the Literati — Plantin–Moretus Press Lipsius, Justus. Epistolarum selectarum centuria prima [–quinta] miscellanea. Antwerp: Ex officina Plantiana, apud Ioannem Moretum; viduam & filios Ioannis Moreti, 1605–14. 4to (25.8 cm, 10.2"). 5 parts in one vol. ff., 119,  pp. ; –213,  pp. ;  ff., 108,  pp. ;  ff., 83,  pp. ;  ff., 112,  pp.  This is the collected correspondence of the Belgian humanist Lipsius (Joost Lips, 1547–1606) — “one of the most eminent representatives of classical philology between 1550 and 1650" (NCE) — containing nearly 500 letters to the most illustrious intellectuals of his day, with an index of correspondents at the beginning of each part, including: Carolus Clusius (Charles de l'Ecluse, 1526–1609), Joseph Justus Scaliger (1540–1609), Abraham Ortelius (Ortels, 1527–98), Philipp Nicodemus Frischlin (1547–90), Hugo Grotius (de Groot, 1583–1645), Jacob Pontanus (1542–1626), Jacques Auguste de Thou (Thuanus, 1553–1617), and the printer Balthasar Moretus (1574–1641), who would inherit the Plantin press from his father Jan . . . Printed by Jan Moretus, with the last three parts produced by his widow and children, all five “centuries” feature the famous Plantin device engraved or woodcut on their sectional title-pages, and at the ends of the second and fifth (final) parts. The text is in Latin printed in roman and italic with sparse sidenotes and elaborate woodcut initials and tailpieces. The correspondence was also issued in separate parts, and as part of the Opera omnia in seven volumes with a general title-page dated 1614. Signed by Eric Gill Liverpool First Edition Club. Catalogue of the first exhibition by members of finely printed books from modern presses May 12–24, 1930 with a foreword by Eric Gill. Liverpool: The Basnett Gallery (pr. at the Fanfare Press), 1930. 8vo (21 cm, 8.25"). 31,  pp.  Catalogue of the Liverpool First Edition Club's debut exhibition, with a foreword by Eric Gill including his thoughts on the nature of Art and book production. Provenance: Signed by Eric Gill (“Eric G”) at the end of his foreword; additionally, elegantly inscribed to rare book collector Clark Stillman by the artist's brother and biographer Evan R. Gill, dated 28 September 1937. Searches of NUC and WorldCat located only three copies in U.S. libraries. SIMPLE Book Lists . . . Most of the usually budget-priced books in these simple, unillustrated, EXTENSIVE catalogues are not offered via any of the databases (e.g., ABE, Biblio, IOBA, ABAA); they are mostly not described here at our independent website either. It's “find 'em in these lists or come find 'em on our shelves”! are not updated to reflect availability.